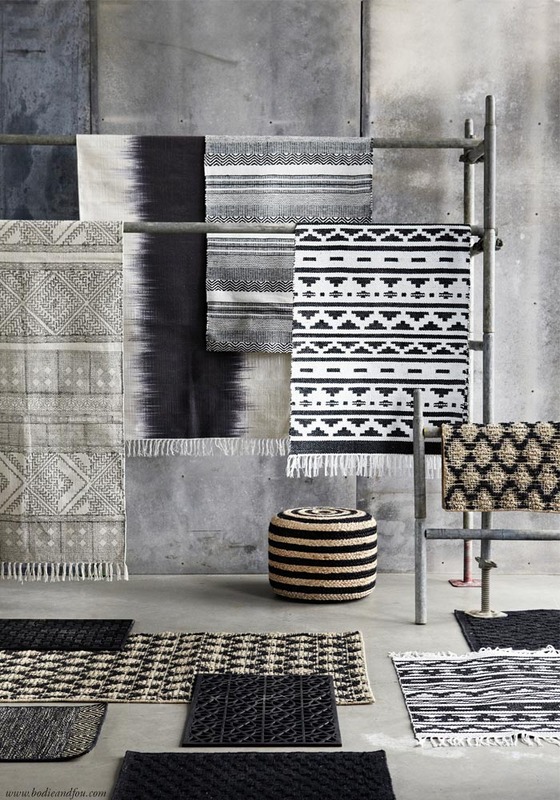 I’m very excited by the new collection of handwoven rugs by House Doctor. Like the Block rug from last season (featured below), the new collection introduces patterns and natural colours which will be perfect to add textures to your home. Whether you are a carpet or floorboards person (like me! ), rugs are one of the quickest ways to add textures and warmth to your room and I love how the patterns and natural colours of this collection adds a relaxed, lived-in vibe to a home. Which one do you prefer? My current favourites are this Spring rug (totally in love with the black & white blockprinting pattern) and this gorgeous Electric rug with its dye-in effect.